Snack truck for actress Uhm Ji Won at the MASTER filming site bringing refreshments consisting churros, tea and coffee for the cast & crew. @rubie Considering the fact that both sides has big stars, I think we can expect police not to be their usual dummy selves (in this kind of movies) and I'm really curious, who is going to win. Lee Byung Hun, Kang Dong Won, and Kim Woo Bin have come together for the film “Master,” possibly this year’s most star-studded Korean film. With the premiere date set for December, the film has released its first teaser. “Master” is a crime action film riddled with deceit, as a criminal investigation team hunts down the con artist and brains behind a major fraud case. Also making an appearance in the trailer for a solid supporting cast is Uhm Ji Won, a lieutenant in the police investigation team, Oh Dal Soo, a prosecutor-turned-elite-lawyer, and Jin Kyung, an advertising executive. “Master” will be directed by Jo Ui Seok, who previously sat in the director’s chair for the 2013 film “Cold Eyes,” starring Jung Woo Sung and Han Hyo Joo and garnering over 5.5 million theatergoers. The movie “Master” will be shown in December. It just released its first trailer. Directed by Cho Ui Seok who directed “Cold Eyes” and starring Lee Byung Hun, Kang Dong Won and Kim Woo Bin, “Master” has long been considered to be the most anticipated film of the year. The movie will open in December and its first trailer unveiled some of the mystery surrounding this movie. This crime comedy action film uncovers Korea's biggest fraud case and depicts the struggle and fight between an intelligent anti-crime squad and an intelligent fraud ring. The film is scheduled for release in December. The first trailer displayed great acting and explosive action with scenes shot in the Philiippines to create a strong sense of atmosphere. 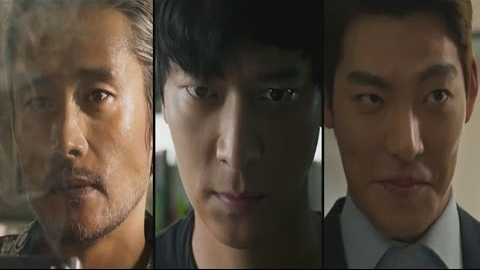 In particular, Lee Byung Hun in a completely changed style played a highly intelligent con artist, Kang Dong Won, a very smart detective who is challenging an elite police role for the first time and sandwiched between them, Kim Woo Bin who with his special charm intensified the plot. The three actors with their superb acting rendered the film to reach its peak and interest. “Master” is a crime comedy action film in which there are many unforeseen circumstances, and attractive characters, will be released in the winter of 2016. You know, I’m normally sad when actors leave dramaland to return to films, but in the case of Kim Woo-bin (Uncontrollably Fond), I’m much happier to see him back in his element, being a badass in crime thrillers instead of moping around in melodramas. It looks like we’re in for a fun caper with the new crime action thriller Master, starring Lee Byung-heon (Inside Men) as a legendary con artist and Kang Dong-won (A Violent Prosecutor) as the cop determined to catch him. The newest project from director Jo Eui-seok of hit thriller Cold Eyes is another crime chase movie, this time about catching an elusive conman who runs a crime syndicate called One Network. Lee Byung-heon is their legendary leader, President Jin, while Kim Woo-bin plays the brains of the operation, General Park. Jin Kyung (who just played Kim Woo-bin’s mom in Uncontrollably Fond) will be his mom again, but only in code name — she plays Mom Kim, One Network’s director of public relations. Something tells me her job doesn’t entail press releases. Then on the side of the law we have Kang Dong-won, in his first role ever as a policeman. Not even a dirty one? I’m shocked. He’s a detective team leader with brains and charm, who stops at nothing to take down One Network. Eom Ji-won (The Phone) is a police lieutenant who specializes in white-collar crimes, and Oh Dal-soo (Tunnel) is a prosecutor-turned-lawyer. In the first teaser, Lee Byung-heon asks, “A con? And what do you think that would be called in denominations of trillion?” Kang Dong-won preps his investigation team to stop them and says, “We will close this case perfectly and cut off the head that’s rotted.” With both sides prepared for battle, Kim Woo-bin announces the start of the race. Kang Dong-won’s secret weapon will be Kim Woo-bin, who will become the linchpin in this cops-versus-robbers chase. The question is: Will he betray Lee Byung-heon, or is he double-crossing the detective who’s trying to bring them down? Master is slated to hit theaters in December. Spy thriller "The Age of Shadows" swept the box office during the Chuseok long weekend last week, attracting over 5 million viewers. The movie drew more than 860,000 viewers a day, the Korean Film Council (KOFIC) said. The film created plenty of interest even before its release because of its star-studded cast. Seasoned actor Song Kang-ho, whose previous film "The Attorney" attracted over 10 million viewers, co-stars with other popular actors Gong Yoo and Lee Byung-hun in the movie. Gong and Lee's films "Train to Busan" and "Masquerade," respectively, both attracted over 10 million viewers. "The Age of Shadows" illustrates one of the hottest trends in the Korean film industry where movies have multiple main characters. 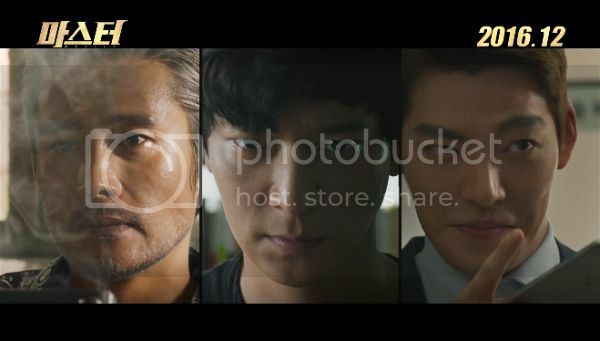 "Asura: The City of Madness," which will be released on Sept. 28, stars some of Korea's most celebrated male actors, such as Jung Woo-sung, Hwang Jung-min and Kwak Do-won. 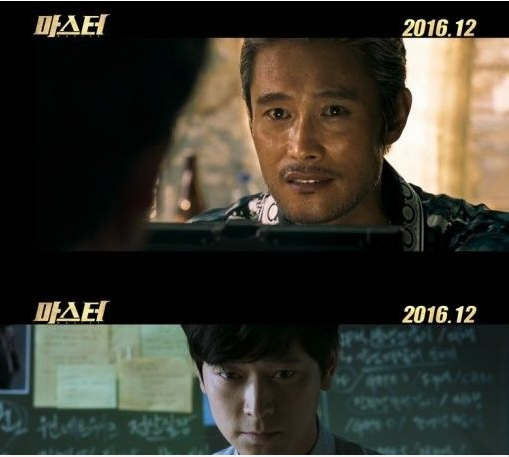 "Master," which will be released in December, also features some of the hottest stars, including Lee Byung-hun, Kang Dong-won and Kim Woo-bin. 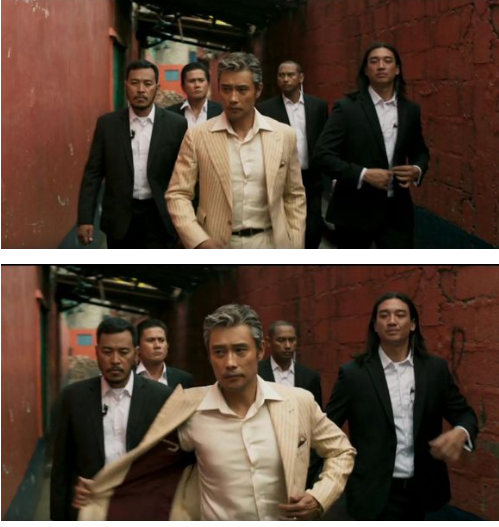 Multiple main character casting became a box office trend after director Choi Dong-hoon's caper movie "The Thieves," released in 2012, was a big hit. The film had a slew of stars, including Kim Yoon-seok, Lee Jung-jae, Kim Hye-soo, Jun Ji-hyun and Kim Soo-hyun. It ranks fifth in Korea's box office records, drawing more than 12 million viewers. After "Assassination" came "Veteran," which also drew over 10 million viewers last year. Industry watchers say that theatergoers pay more attention to the movie and give more positive reviews if it features more than one famous actor. Actors are also relieved of some burden because they do not have to lead throughout the entire movie. In Hollywood, there are plenty of movies with multiple main characters for those reasons. The caper film "Ocean's Eleven" and the superhero movie series "The Avengers" are examples of such successes in Hollywood. Recently released, "The Magnificent Seven" is another because it has seven main characters. The very first trailer of the long-awaited film "Master" has just been unveiled, rising as a hot topic in various SNS communities, with over 3 billion views accumulated over the Chuseok holidays. Cho Ui-seok, the director of the film "Cold Eyes" (2013), is back with the action-comedy film starring actors Lee Byung-hun, Gang Dong-won and Kim Woo-bin. The movie tells the story of the continuous chase and cheating between swindlers and investigators during a hundreds of billion dollars fraud case. The film comes to theaters this December. I can't say for certain but I think the filming have wrapped up quite awhile ago, at least for the scenes in the Philippines. However, from the indication on the teaser that it'll be released in December, it's believed that the movie is now in post-production. There will always be movie updates to look forward to, particularly when we're nearing the end of the year. Once the actual release date have been set, the new posters, stills and more movie clips will be released. Then on, there will be a lot of promos via media interviews, magazine pictorials. Especially for a highly-anticipated movie as this, there will be a lot of promotions by CJ Entertainment for sure. But I totally understand your query because personally, I'm surprised that Master gets an early 2016 release date and not 2017 as stated before. Well, lets hope the December date will be set and we'll get more updates soon. @rubie Woo Bin's schedule free from Master for two weeks now, but considering there wasn't any announcement or anything, I thought that there maybe possibility, just he ended filming his scenes, while KDW/LBH still filming. I don't follow them, so I have no idea if there any information, that why I asked=) Also, I'm aware how they promote movies in SK, but I thought if we could possibly predict when in December (early or late) they will release movie, based on if they wrapped up filming or not. Yes, post-production period kinda short. Less than two months, but considering that Koreans trend to film their movies in faster pace, maybe that's okay... I hope they're not rushing up things though. @aureolina It's true that most Korean movies get filmed and released at pretty fast pace (although we fans feel not fast enough ), I suppose the Master's producers have had their strategy all lined up & set to go. The lack of info (for now) may help whet the anticipation even more. If not mistaken, LBH has wrapped up the Philippines filming back in July. Apart from a short break in NY, he's been in Korea mostly that he might still have some scenes to shoot from filming 2 Korean movies back-to-back. He's supposedly will start filming another new movie in December but any promo events should have also been set beforehand as not to overlap. I think KDW has a new movie coming out in November, even earlier than Master. I wasn't aware of the movie like his fans would but shows that Master could also be as 'surprising' or even more despite the super-quiet mode. Anyway, can't wait for the cast to be featured in magazine pictorials, once those are out (like on CINE21, etc), you just know that the movie is just around the corner. They might just be doing various photo-shoots these days.